Enjoy freshly baked Bagels, Basboussas and Croissants during intermission – totally Kosher, Halal and French. Jewish Community Center, Weller St at Medical Dr. 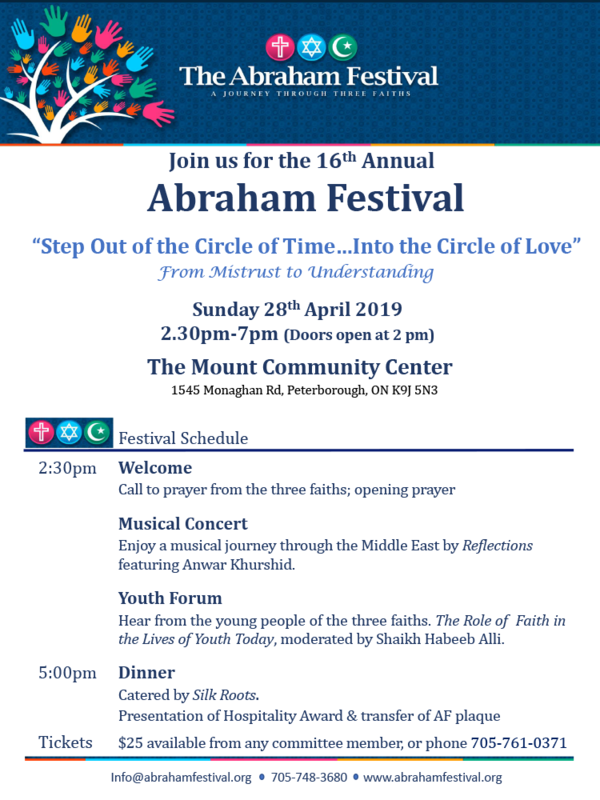 This event is a fundraiser towards our annual Abraham Festival on Sunday April 28th 2019. Details of the festival and tickets available soon. 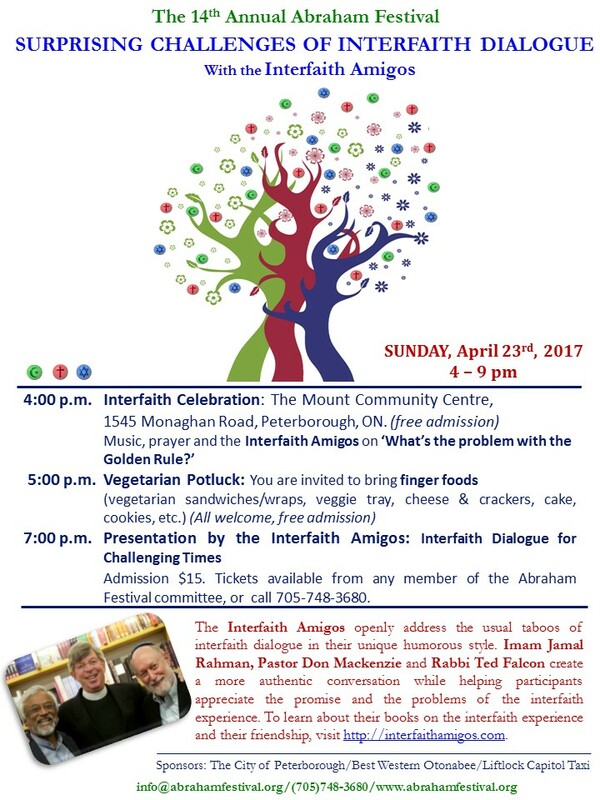 2017 – What is the Abraham Festival?